Is This Type of Violence Considered Child Abuse? This article was inspired by a comment received on one of my commentary pages. The now 16-year-old girl described a violent and sexually abusive relationship with her then boyfriend. 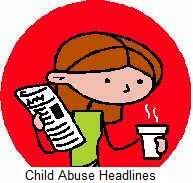 What she described is not considered child abuse; it is called Relationship Violence. The average number of times a teenage girl will be assaulted by her intimate partner before leaving the relationship is 9 times; that number is 35 times for adult women. It is very important to understand that the cycle of violence will continue and the severity of the violence will increase, unless there is intervention. Believe in yourself. Self-confidence is a deterrent to abusive people. Establish and communicate your personal limits. When you set boundaries, you exude confidence and self-respect. Practice making choices based on what you want. Pay attention to your feelings and trust your intuition. If it doesn't feel right, it probably isn't right. Do not accept inappropriate behaviour. You deserve to be treated with dignity and respect. Avoid drugs and alcohol, as they adversely affect inhibitions and they hinder judgment. Keep friendships during dating relationships a huge red flag is when your dating partner prevents, or tries to prevent you from having a relationship with your friends. Keep friends close so that you can turn to them for help. Seek help when there are problems in the relationship. Don't think that you have to deal all by yourself. Healthy relationships involve communication, negotiation, a healthy self-esteem, and a balance of power between the two partners. Don't allow yourself to become involved in an unhealthy relationship. Remember: Everyone deserves to be treated with dignity and respect.